and Socially Responsible Food Service. It seems every year there are more and more threats to our health. The time has long come that we raise our standards of healthy interactions, especially in the restaurant industry. There is no more effective tool against colds, flus and disease than prevention. Those in the industry with concern for their communities are doing their part by becoming Healthy Service Certified. Healthy Service is now available! As our world changes our standards need to change with it. Anyone who has worked in the restaurant business knows there is room for improvement. Today, with more and more diseases like bird flu, swine flu, even the common flu which can be deadly to some, not to mention Ebola and beyond, we need to have a higher standard in Healthy Service. Illness is spread in our communities primarily at social gathering points like work, school, malls, etc. Restaurants are a major place of gathering in our society. This is complicated by the fact that people are eating and drinking, with others cleaning up after them. As diseases become more resistant and more serious we need to change they way we approach health issues. Regular daily interaction needs to change, but in a way that is still friendly and community oriented. People go into restaurants when sick and contagious. Restaurant staff often work while sick and contagious. Illness is transferred between diners and staff and between staff. Just 5% of people wash their hands long enough to destroy infectious germs after using the bathroom. More than half (60%) of food service workers could remember a time that they worked when sick. 12% said they worked while vomiting or had diarrhea. Read more about The Science of Healthy Service here and why it is so important these changes take place now. 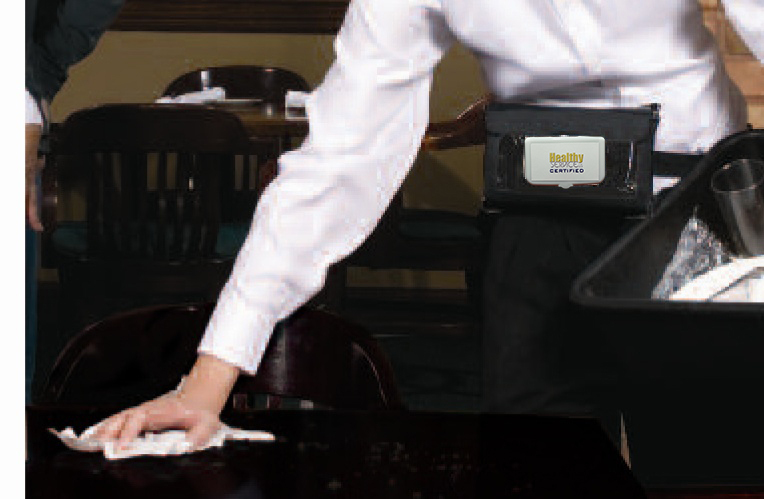 Reduce the spread of illness at restaurants among staff, and between staff and patrons. Make a restaurant safer for all patrons, including those with compromised immune systems. Increase productivity and standard of living among restaurant employees. Prepare for future outbreaks by adopting higher sanitary standards now. Let customers know of a restaurants commitment to higher health standards. Healthy Service applauds health department standards that have been in place for a very long time. Those standards have kept consumers safe from food poisoning. There are some great organizations like ServSafe and Safe Staff that help restaurants to remain in compliance with health department safe food preparation and serving standards. Healthy Service goes beyond these standards to reduce the transmission of colds and diseases between restaurant staff and patrons. Healthy Service provides the education, policies and tools to make healthy interactions a reality and can have a significant positive impact on our communities. Consumers should look for the Healthy Service Certification, and recommend your local eatery join the Healthy Service revolution. Restaurants that have a higher standard for their staff and patrons should become certified today! 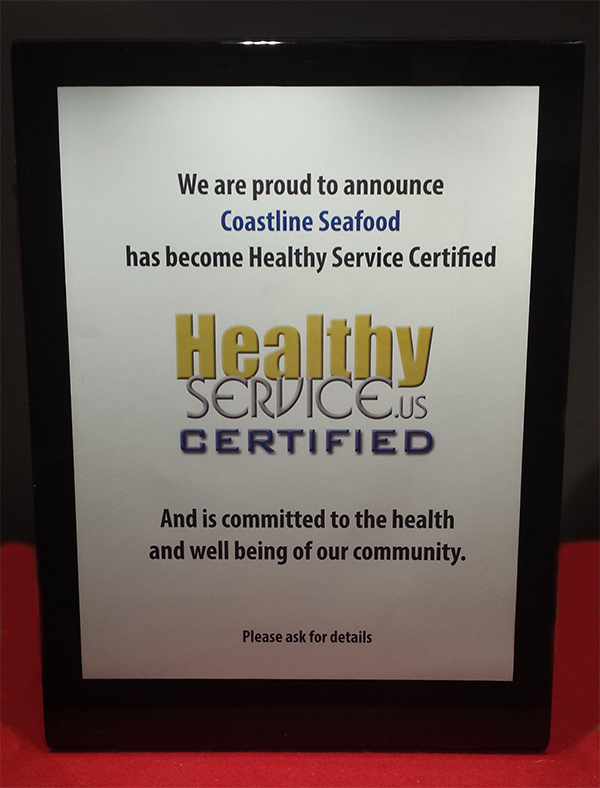 Recommend your favorite restaurant to become Healthy Service Certified here! Are you a responsible restaurant? Learn More or Enroll today! or take the Healthy Service Certification Test, what would your score be? Why do we need standards beyond just telling people to wash their hands? "Just 5 percent of people properly washed their hands after using the bathroom, according to a new study from Michigan State University."